To build foundations for ethical business leadership by creating, discovering and communicating knowledge about leading-edge research, innovation and best management practices. We prepare our graduates to be engaged citizens of the rapidly changing global world of business, and through the synergy of research, education and service, the David Eccles School of Business strives to be among the most respected business schools in the world. The Eccles School values embody the legacy of Utah’s first entrepreneur and the school’s namesake, David Eccles. Through four core values, David Eccles forged a path and paved the way for the state’s enterprising business success and the school’s culture. David Eccles was a skilled leader who founded more than 50 successful businesses in Utah and across the Intermountain West. He was also an elected civil servant. Leadership is a principle instilled in our students and it manifests in the classroom and the boardroom, and everywhere our faculty, staff, students and alumni go. The Eccles School community strives for excellence. David Eccles wasn’t content simply to do a good job. He was exceptionally dedicated, received accolades and respect from his peers and amassed great wealth, both personally and professionally. 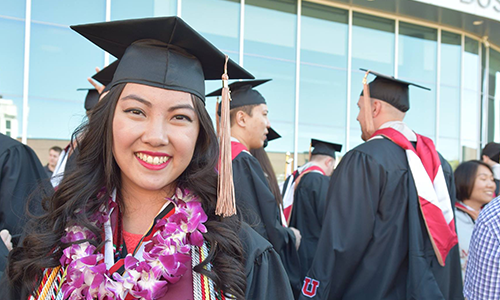 From academic achievement to community service and workplace accomplishment, excellence is bound to the Eccles Experience. The legacy of David Eccles has lasted for generations. His vision, determination and business acumen set the standard for future business leaders in Utah and beyond. The Eccles School builds on David Eccles’ legacy annually as graduates embark on personal journeys in many states and countries, touching the lives of millions. The success of David Eccles had as much to do with his personal grit and diligent hard work as well as his natural talent. Without perseverance, David Eccles may never have made his mark. Students at the Eccles School learn about perseverance as they earn their degrees. As a community, we believe perseverance plays an important, lasting role in each of our lives. 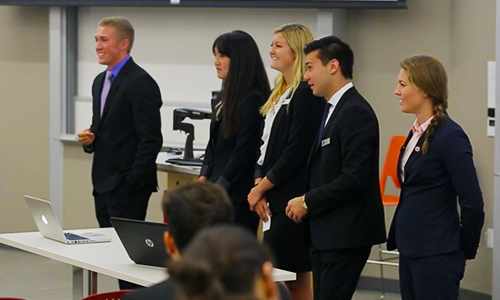 The Eccles School teaches, coaches and works alongside current and future business leaders. The school espouses five values that form the foundation of educational and professional success in the lives of students, alumni and the Eccles School team. Students who engage in the Eccles Experience undergo a transformation of self. A student who enters our doors leaves as a different, more well-rounded, skilled and thoughtful individual. Students engage with new ideas and embrace new mindsets as they become proud Eccles School graduates. Faculty and staff continually strive for mastery of trade and craft. The faculty at the Eccles School excel in research, serving as thought leaders in every business field and keeping their students at the cutting-edge of understanding. Students who attend the Eccles School are some of the brightest among their peers. 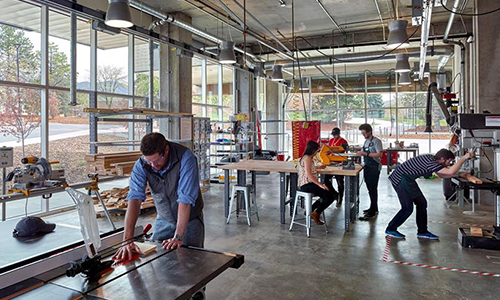 The Eccles School helps students find new, novel approaches to doing business. Faculty encourage outside-the-box thinking for individual learning. 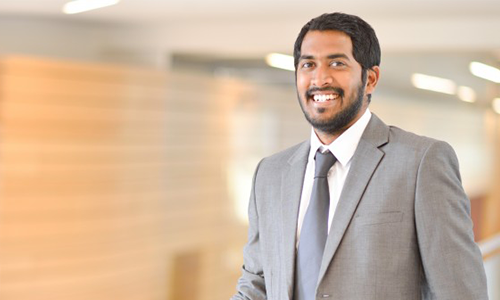 Imaginative, critical thinking skills are taught and applied across the business school campus and in the workplaces of our alumni. The University of Utah is recognized as a top entrepreneurial environment for students, thanks largely to support from Eccles School graduates and donors, and the vision of school leaders. Students who want to create their own businesses find complete support and fertile soil at the Eccles School. Students also discover their inner entrepreneur by thinking creatively inside the classroom and on the job. The Eccles School is a valuable community partner. Its institutes and centers deliver academic research and willingly support community initiatives. Its students and graduates become upstanding, contributing members of individual communities who give back through volunteer service. 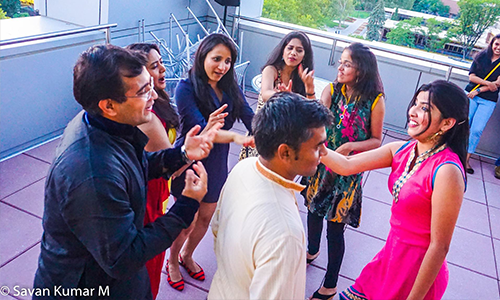 Students also stay connected through the school’s ever-growing, active, worldwide alumni network. The community embraces students and alumni from many backgrounds, nationalities, ethnicities and life experiences. We value inclusivity and embrace diversity.